This OMEGA solid 14k. 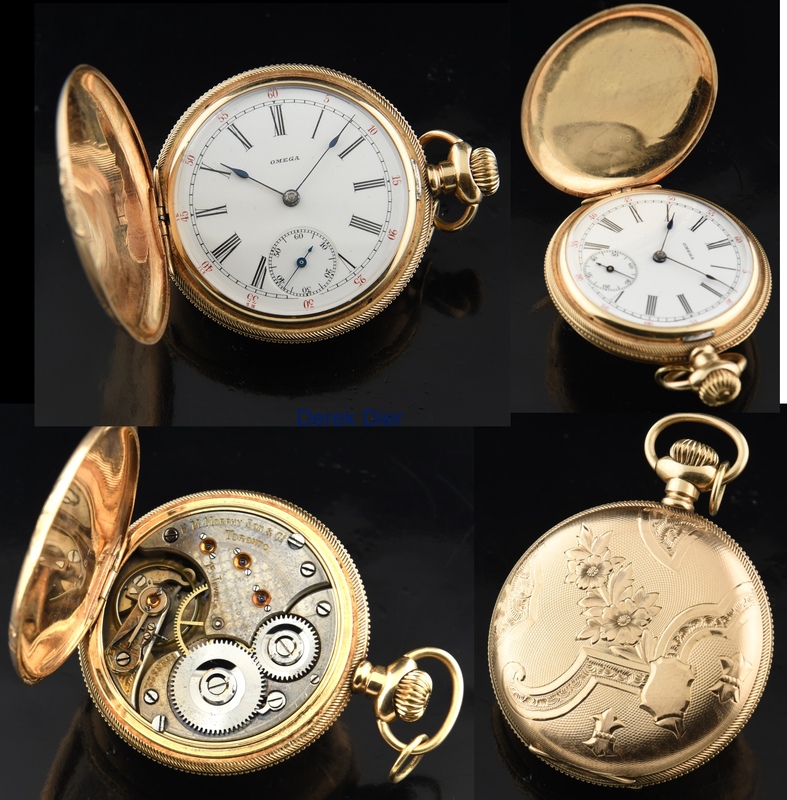 yellow gold pocket watch dates to about 1900 and displays spectacular overall condition. The manual winding movement was made by OMEGA as a contract to RM MURPHY & Sons (Jewellers) in Toronto Canada. The case is signed AW. C. Co. which is OMEGA’s contract case company used in North America to circumvent import duties. 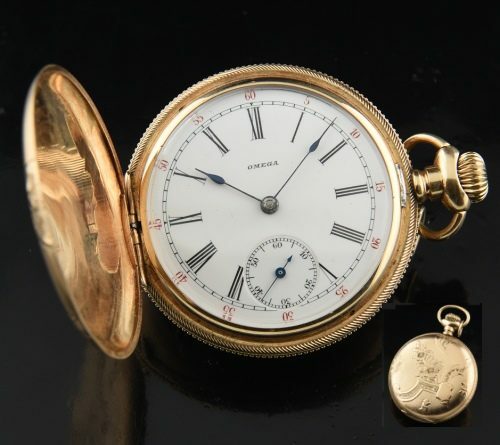 This is a mid-size pocket watch measuring 40.5mm.-still a men’s watch. The manual winding OMEGA movement was cleaned and is accurately keeping time. The original porcelain dial, having Roman numerals and red seconds register is without any flaws or crazing. This OMEGA solid gold watch was VERY well preserved.